Explore the possibilities. Your new Blue Heron Pool will be your custom design. Simply stated, Blue Heron Pool Designers create beautiful pools built on your ideas. Once your pool design is complete, you’ll want to see your new pool in your backyard as soon as possible-that is our goal as well! There are many advantages you’ll receive as a Blue Heron Pool owner. These benefits carry on long after the design and construction of your pool. 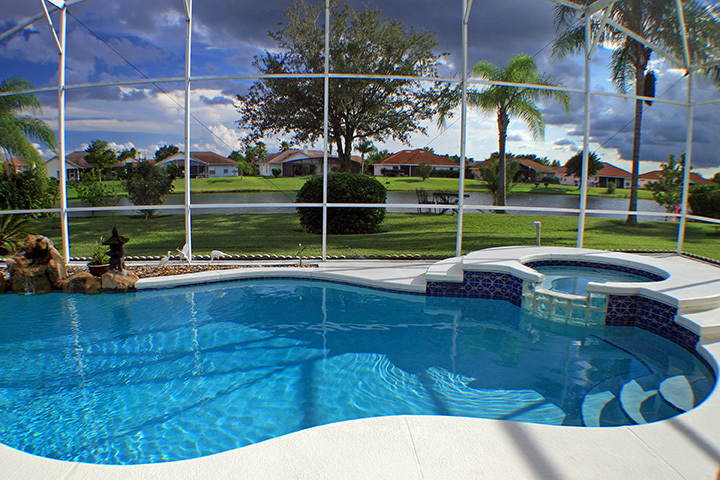 Blue Heron Pools of Florida, Inc. takes immense pride in bringing our customers the best in custom pool design, installation and maintenance in Southwest Florida. Our expertise also expands to hot tubs and spas! We’re deeply committed to customer satisfaction and will work with you to ensure your new pool is perfect in every way. Having a pool in your backyard opens up a wide range of benefits to you and your family—from leisure and relaxation, to exercise and entertainment. But, the only way to take advantage of these benefits is to see that your pool is designed, built and maintained to an exceptional level. Blue Heron Pools of Florida, Inc. will make sure it is! As your premier expert on pools in Southwest Florida, we’re ready to provide you with the design oversight and expert pool installation in Bradenton, FL you need to enjoy your investment in a pool. Since 2000, customers have recognized our exceptional abilities and chosen us to bring their perfect pool to life. Our team has an outstanding reputation for service and we always place customer satisfaction highest in everything we do. We’re an authorized dealer for Viking Pools. Our services are priced to be competitive and we always provide you with honest rates—no hidden fees or costs! Our familiarity with pools stretches back to 2000, giving us nearly two decades of professional experience. It’s time to explore the many benefits of having a custom-designed pool in your backyard. Contact us today to begin the design process and bring your vision of the ideal pool to life!